Encompassing music, culture and travel under its umbrella, the Global-partnered Broadwick Live is a multifaceted mainstay of the festival circuit whose portfolio has dramatically increased in scope over the last year. 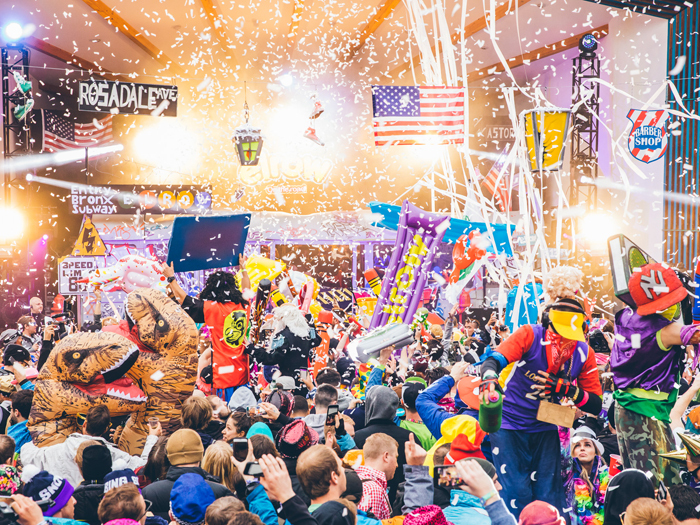 Its flagship festivals are favourites amongst UK and European crowds – having accrued a number of Festival Awards in their respective lifespans – and these too have undergone recent expansion with the launch of Snowbombing in Canada. 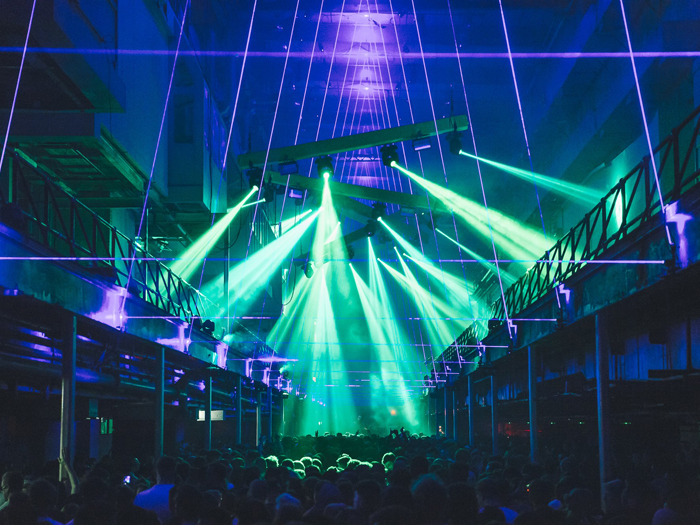 If there weren’t already enough strings to its bow, Broadwick is now co-managing The Printworks alongside London Warehouse Events. The two organisations have effectively capitalised on the industrial aesthetic of the former newspaper printing press, transforming it into one of the UK club scene’s most idiosyncratic and exciting propositions. Insights spoke with Gareth Cooper, CEO and Founder of Broadwick Live, about the unique characteristics of The Printworks, the company’s recent acquisitions, approaches to fan retention and more. Festival Insights: First off I thought we’d start with The Printworks. What qualities make the venue special to you, and how will you be making the most out of the space throughout? Gareth Cooper: Well to paint a picture for those who haven’t seen it: you go through a series of box rooms and reach this huge, industrial soundproofed space that’s 120 metres long and 50 feet high, with a balcony above. The venue still has the original print presses and you can really feel the history. Whereas it was predominantly launched as a space for electronic music, we’re going to be developing the live music programme and using a 3500 capacity room that runs parallel to the main one. The Printworks is shaking the system up a bit; it’s a multi-purpose venue so in addition to doing daytime and nighttime raves there will be a broad spectrum of entertainment, arts and alternative culture on offer. FI: Broadwick Live’s festival portfolio has expanded massively in the last year. Could you tell us about some of these acquisitions, how they’ve enriched your roster and conversely, how the festivals will benefit from being brought under the Broadwick and Global umbrella? GC: Within the portfolio there are now 18 festivals. It was Global that originally invested into Broadwick Live then together we acquired these others. Recently we have gone on a journey of acquisition whilst developing our own intellectual properties – such as Snowbombing Canada and The Printworks – as well as doing standalone gigs. In terms of the plans with the portfolio, some of the events operate out of our office but others are still managed by the founders, such as SW4, Field Day and Boardmasters. 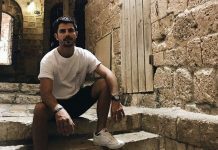 The ultimate goal is to enhance the scale of the portfolio and the festivals within it, allowing us to do more effective cross marketing and provide better deals on costs and purchases. FI: Let’s talk about new creative additions or logistical changes you’ve made to your flagship festivals for 2017. 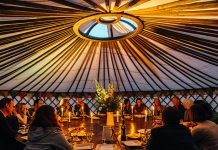 With Snowbombing in the immediate past I thought you might like to talk about that first. Did you modify what was on offer this year, either in changes to the site, programming sensibilities, new venues, or non-music activities? GC: We don’t really change the shape and structure of Snowbombing’s site because Mayrhofen is a working town, which puts limitations on what we can do. We can change things around inside the venues however, and add more variation to the production. With the music we tried to take it back to its roots a little bit. In the past few years I felt it became a little too chin-stroking and trendy with the dance music in particular. We tried to incorporate more fun stuff this year. Because of that approach I think it was a very successful year. We’ve also launched Snowbombing Canada, which sold out in two weeks. I have to extend my thanks to our partner in Canada on that, Coors Light, who made it possible. It’s an exciting time, and hopefully we’ll add another couple of continents to the Snowbombing franchise in the next two or three years. FI: A very minor touch that I like about Snowbombing in particular is that you designate returning artists as ‘Snowbombing Royalty’, which must make them feel more cherished and championed by the organisation. How else do you ensure that artists and crew feel like they’re at home when they arrive at Broadwick festivals? GC: Well we need to make sure that we treat our guests very well. Retention is an important part of any business, in terms of both customers and – in this case – artists. We’re only as good as the people who will come to the event. We try to treat everyone as well as possible – making sure that their journey and their stay are as care-free and enjoyable as possible. Something else we try to do is to break down that divide between artists and customers. It’s good for the punters when there’s a possibility that they’ll ski with The Prodigy or take a chairlift with Idris Elba. For a lot of festivals I don’t think enough effort goes into retention both during and after the event. We’re focusing on that quite heavily this year. FI: What form will those efforts take? GC: Well, for example, after the first year of Festival No.6 we sent everyone a card thanking them for attending. Small touches like that help. Y Not Festival is one of the best examples of retention because they manage to sell 30,000 tickets with a marketing spend of around £20,000, and that’s because they have an extremely loyal customer-base. Y Not sends a present to everyone each year – this time it was a scarf at Christmas. People are generally affectionate towards festivals and if you go the extra mile to look after them then they’ll be more inclined to come back. FI: Festival No.6 was one of many festivals last year to suffer the wrath of severe weather. Are there any steps you’ll be undertaking to try and mitigate the same threat this time around? GC: Unfortunately it’s impossible to completely mitigate the threat of extreme weather. At Festival No.6 it was mainly focused on the car park and it didn’t take it well, so this year we’ve moved that to higher ground because we can’t have it happen again. FI: Since Broadwick organises European festivals such as Electric Elephant and Hideout, do you have any specific concerns about what Brexit could mean for the live events industry? GC: Not yet because it hasn’t properly kicked in and no one knows exactly what will happen. It did initially have an effect on the exchange rate but that seems to be settling down to normality now. It didn’t have an effect on Snowbombing or Hideout, and it won’t affect our worldwide aspirations. People will always want to travel abroad for festivals. FI: Despite Broadwick’s continued success, are there any other challenges you foresee for the industry that concern you? GC: We’re in a really good position at the moment; we have our targets set out and we’re achieving our goals. If anything I’d say there are an awful lot of events popping up that are creating more competition, and that market saturation does worry me because we’re all drawing from a limited pool of potential customers. Still, all you’ve got to ensure is that you’re doing what you do better than other people. You have to work very hard and we won’t ever rest on our laurels.